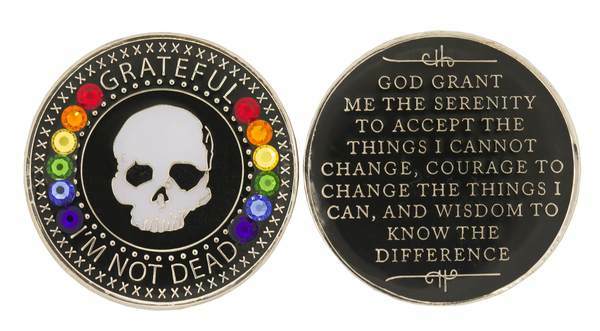 Add to Cart Grateful I'm Not Dead Medallion. This tricolor enamel medallion features a skull on the front in white with a black background and gold lettering. The front has "Grateful I'm Not Dead" written around the outside. White skull, black background, gold lettering. On the back it has the Serenity Prayer written out in gold script.